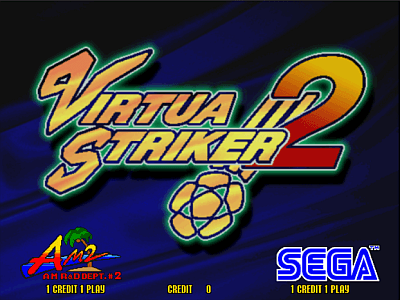 Virtua Striker 2 © 1997 Sega. Released in March 1997 on the Model 3 Step 1.5 board. This game recycles and remixes music from the original "Virtua Striker". This is the first game produced for the Sega Model 3 Step 2.0 hardware. * Virtua Striker 1 background music : Press and hold the short pass before pressing start at the main screen. * MVP Yuki-Chan : Enter at congratulations screen. Press Start, right-down start, down start, left start, right start, right start, left-down start, down start 3 times.